In America, Immigration has been a hot-button topic for the past several years as immigrants have been painted in a very negative light. They have been accused of having caused not only local problems, but also many socio-economic problems around the world. These various governmental problems, combined with an astounding lack of natural resources, incidents of terrorism, and the impacts of global warming on the environment, have led to the creation of a fearful society in which people do not feel safe. Amidst feelings of being left behind and overwhelmed as fast paced globalization, technological advancements, harsh competition, and growing inequality arise, people can no longer trust one another. Government leaders have started to use this distrust to manipulate people; using the fear of cosmopolitanism, fear of change, and fear of foreigners to create a climate of panic and fear which conveniently pressures people to choose radical policies. 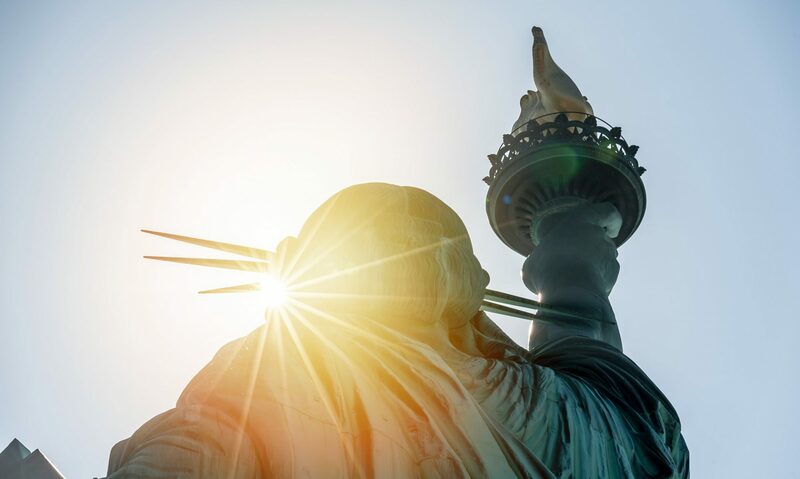 Immigrants Connect (IC) is a project started by the Alpha Theta Phi chapter of Phi Theta Kappa International Honor Society at LaGuardia Community College. The mission of this project is to begin changing the negative narratives around immigration in the media by sharing positive stories of immigrants. “I was born in a small city in China. I spent my entire childhood there and received my K-12 education. When I was 17 years old，I moved to the U.S. from China after I graduated high school. Everything was new for me including the environment, language, and people. After the first few months, I felt so alone and nervous. I had no friends at that time. Then I realized that I had to change the situation. I started going to the public library to read books and began trying to make friends with others. I also started to study in the Chinatown Manpower Project(CMP) which is located in Manhattan. The Out-of-School Youth Program in there helped me to learn English including reading, writing, and math and basic computer knowledge for 3 months from November to February to prepare for college. I met a lot of peers there. The program also helped me to apply for college. After graduating from the program, I took and passed the assessment test for the City University of New York(CUNY). My life at LaGuardia Community College was started. I learned one important lesson: if you face difficulties, never be afraid to try and get out of your comfort zone. LaGuardia Community College was the first college that I have attended, and it has made me feel that kindness and harmony are possible between people from different backgrounds. In fact, LaGuardia Community College’s student body is made up of people from 160 different countries who speak 127 languages natively but our community is friendly and respectful to everyone. As a new immigrant and first-generation student, I was scared and afraid to share my thoughts and make new friends with others in the first few days. The professors and my classmates helped me a lot to become more confident and brave. It also gave me a lot of chances to explore the world outside of classes. I attended a lot of activities and worked in different roles during my journey in LaGuardia. One of them was becoming part of the President’s Society, where I served as part of a highly selective organization as a tech ambassador. I visited a number of high tech company headquarters such as BuzzFeed and Mongo DB. Those visits really broadened my horizon and gave me a new vision to see myself as a computer science student. They also inspired me about what I want to do in the future. After two years of study in LaGuardia, it is time to say goodbye. I want to thank the college for giving me the chance to give me the chance to adapt to the new environment and help me to overcome all the difficulties. The good memories from my classes, my volunteer experiences, and my work experiences made me grow up and also let me be curious about what will happen next. I already had a great foundation through the study in there, the next step for me is to explore and pursue my dream in an excellent college. I believe that I am ready to face the challenges as a new immigrant and pursue my dreams! Swekchka Luitel, a student at LaGuardia Community College! “Every beginnings looks similar to a blank sheet of paper. Something empty but with tons of possibilities where you can create whatever you want to. It allows you the freedom of doing things in your own unique way. Every time my mother brought me a new notebook, the first page would always be the hardest to write on. I would always feel less confident and more anxious to start. However, once I break the ice I would feel confident with each subsequent pages. Moving to a new country offers you fresh start to your lives. But like every other thing, this process comes with its own ‘Pros and Cons’ and ‘Dos and Don’ts’. For someone like me, who moved to New York from a very different country like Nepal, both in terms of culture and geography, the journey was parallel to that of writing on a notebook. At the beginning I was anxious and unsure where to start. But at the same time, I was excited about my new life. Sometimes I felt sad having to leave for somewhere thousands of miles away. I had to leave my belongings, my parents, my friends of 18 years. Other times, I also felt sad because with each passing days, I was replacing the memories of the places that once helped me to become what I was then. Regardless, I was also happy and excited. Despite all the homesickness and sadness, I was willing to create a new version of myself. Like every person arriving to a new place, I experienced feeling like an outsider when I moved here but I did not let that get the best of me. My English was not very good but I tried my best to learn. Even with the improper grammar of mine, I kept trying and never stopped writing and learning. We all know, learning is something that never ends. Everything was challenging for me, especially the first year in New York when I was only working. I had to save money for my college. Knew that my parents would not be able to pay for my tuition. Most of times I worked all day long. The work was never easy; standing all day long on my feet was something that I never did before. I started finding myself highly stressed for little things and questioning myself and thinking that I am good enough to go back to school any longer. However, I reminded myself that I would not end up doing just this. I built up my confidence which gave me the energy and courage to not give up on any of my hopes and dreams. I was also blessed with supportive family and friends who helped me to find my path. My constant hard work, optimism and determination, after more than two years of living in New York led me to my academic journey at LaGuardia community College. There I was able to find my new home, felt welcomed and was able to learn many new things from my divers peers. Like every other immigrants, there was times where I felt rejected. But after having to go through the process of rejection and feeling like an outsider, I also realized one thing: before trying to be accepted from someone else, it is important to first be accepted from yourself. I started to discover the best experiences after I enrolled in college. I dared to push myself and and open up to possibilities. My journey helped discover unknown parts of myself! I started to explore different paths that led me to find my passion on photography and poetry. I started painting and expressing myself through my art. New York has helped me discover part of myself that I would have never discovered if I was not here. My journey has been nothing but the journey of self discovery! Through my experiences, I realized that never giving up, always being the hardest worker and having the willingness to learn, adjust and adopt is something that should be the most important thing to keep in mind for all immigrants while surviving through every possible downsides of being one. Being an immigrant can never be an easy journey no matter where you’re from. But, with love, support and determination, you can change the world! I am heartbroken to see lately a piece of paper becoming more and more precious than humankind in a place once admired as a great nation. It has become normal for us to wake up in the morning, turn on the TV only to hear about how immigrants are treated inhumanely on the borders of the United States. A plethora of people are risking their lives for the American Dream because it opens doors for a better life for people, it gives hope. I did not know much about immigration until recently when I started my research for the Honors In Action project of Alpha Theta Phi at LaGuardia Community College. I thought of immigration as the media shows us every day, alienated, “rapists”,criminals. But I was wrong, I did not realize that every individual had their own story and it is not the story that everyone shares. Every story is unique on their own, people’s experiences, their hardships, and their vision are different and we cannot generalize them. My parents moved to the United States when I was 17. I was a girl who was trying to escape the horrors her country was facing. My country was not a safe place especially for girls because you do not know when you’re the next victim of a robbery or being raped. The United States of America opened its doors for us, provided us opportunities to have a better life. Of course, it was not easy transitioning but my mother has been the biggest motivation, a role model for me because she has always fought bravely to support the education of her children to make a better life alone without the support of anyone. Being a single mother with three children to support is not an easy task. Because of my mother, I describe myself privileged to be able to have a better education that will fulfill my lifetime dreams and goals as well as security. Being a permanent resident, I have free doctor visits while my friends haven’t been to a doctor. Not all immigrants have the same opportunities that I have. I have never felt so many emotions in my life until I started to enlighten myself about immigrant hardships that are people facing across the country. My mother, sister, and I all have our passports, but my best friend does not have proper documents to be able to work or receive funds towards her education. My friend was a senior in high school when she found out that she cannot apply for any federal funds that prevented her continuing her education. She ended up not going to college because she cannot afford tuition, however, she is working to save money so she can pursue her dreams. These stories break my heart and every day people are suffering indescribable. I feel so helpless and sometimes wonder why I have no power to help them. I am now 20 years old, and I seek to transfer to a college to obtain a bachelor’s degree in Nursing. I am so happy that I am about to graduate with an associate degree in Science and would be able to give back as a nurse. I intend to help with the education that I was so privileged to gain by providing resources and maybe even give scholarships to those who cannot afford. I am sure immigrants that you just bump in the streets have a unique story. Sometimes we need to share our stories so people can know that we are not here to create crimes or cause destruction but have the opportunity to build a better life for themselves or family. It is never easy to live a life as an immigrant especially with where immigration stands today. This is a story of how fortunate and unfortunate I am. When you turn your TV and listen to your local news sources, you will hear about how hard it is to integrate into the United States or negative stories about immigrants. Bu, no one will tell you how to work and overcome the problem that immigrants are facing. Numbers do not tell the story of an immigrant. People do! I am an immigrant, and this is my story. “July 29, 2016. I landed in JFK airport with two heavy luggages filled with nothing but a few old books and homemade snacks. Aside from the luggages, I only carried an ambition to pursue a better education and accomplish something significant in my life. My first day in America was filled with mixed emotions. I was excited to gain scholarship in a foreign university but partly despondent having left my family and friends. Lucky for me, I was showered with love and support from most of the people I met in this foreign country. Although I still miss home, it has been easier to remain focused after finding people that I can call family. I spent the first five months in Mississippi at the University of Southern Mississippi (USM) where I completed my first semester. Those five months were the best experience I had ever had in my life. During my stay there, I got the opportunity to learn and experience the culture of traditional American University life. I discovered that sports like American football (not the “football” that i was accustomed to imagine of when i heard that word, which i then learned was called soccer in America) and basketball are inevitable parts of the American culture. I was always keen to watch live American football match, and thankfully USM has its own football stadium where I got the opportunity to see four football matches. Beside sports, I was also introduced to American cuisines. As I was living on-campus, I used campus dining for fooding. Foods like pizza, Burger, pan cake, hash brown, and french fries were the most common foods that could be found in the dining hall. Further, I was blessed with some of the most kindest and supportive people. The resident assistant of my dorm was an African American guy who assisted me to get settled in the dorm. My residence application was still up in the air however, he talked to the ResLife department on my behalf and convinced them to let me stay. In addition, my current adviser Ann Matsuuchi has been another blessing in my life. I met her through LaGuardia Phi Theta Kappa chapter where I am the media officer. Professor Ann and I worked cohesively to update our social media page. Besides the technical assistance, she also encouraged me to participate in several other programs like the Wikipedia project through which I received some scholarships and got the opportunity to attend a reputed wiki-conference in Ohio. “When one defines him/her as an immigrant, it implies more than just a definition—perhaps a story! Today, you wake up breathing the air you’re familiar with, wrapped in your cozy warm blankets with the smell of freshly baked cookies your mother prepared for breakfast. You know the street and the people. You know what to expect and what not to. But the next day, you are thousands of miles away from the home you grow up in, to the venture you’re confident yet thrilled of, next to room full of people you met for the very first time in life. Despite your strong resistance, you feel the blazing flare of confidence within you shifting to faint flickering beacon—dynamic yet feeble. As an immigrant myself, I struggled with what most of our kind struggles with. The struggle that is entangled in the mundane life of most immigrants. It is the struggle of being in an inescapable chain of being both student and an employee. As hard as it already is to resist the feeling of longing for home, you feel lost in the journey of embarking your study and work together for the first time. There are some really depressing days when you have an annoying customer in one hand and a failing grade in the other. Amid balancing those two, you also have another hurdle adding to that gigantic roller coaster, which I call “the unknown drag”. You come to realize how much you were entwined and depended in your family when you are thrown with problems or issues you never thought existed in the first place. Your family took care of this small yet profound stuff so effortlessly that you never bothered to understand what was being taken care of. And this makes you feel both ways—grateful and homesick. However, from being student-employee to keeping all the household pieces together, you find yourself more confident to achieve the goals you strive for. You witness a paradox when you find your purpose and meaning while living such a lost and chaotic life in the country that is different from your own. You become optimistic, you become free, but mostly, you come closer to becoming the person you had always wanted to be! “I was born and raised in Uzbekistan. My dreams and goals flew me all the way from other side of the world to the United States in 2014. It was not easy for me to adapt in a big, crowded city with not even a basic knowledge of English. I realized that in order to achieve my dreams, education is key. I was desperate to learn English and get my college degree, but I was forced to start High School again when I was 19 because I never finished the High school in Uzbekistan. Working full time and being a full-time high school student was the biggest challenge I have faced. But it really shaped me to who I am today, because with the hard work, many sleepless nights I was able to accomplish passing the language test in 6 months and jumped from the Basic Beginner level to non-ESL classes. Whilst it wasn’t easy for me to overcome all the hardships, it taught me very important life lessons. I learned to acknowledge the hardships and thrive in life. If you had told me two years ago that I will earn my associate degree in one of the prestigious two-year school, I wouldn’t believe you. But here I am earning my degree in International Studies at LaGuardia Community College and a member of the International Honor society.